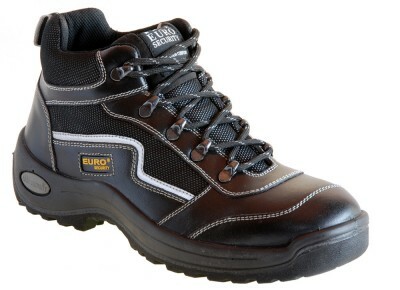 EURO SECURITY product range of safety boots and safety shoes offers customers the latest features in high spec safety, comfort, and styling. 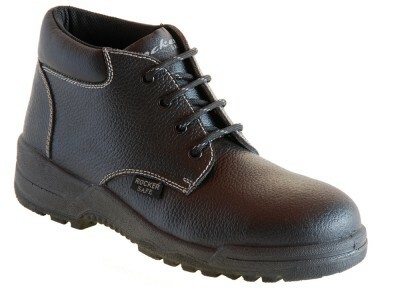 The steel toe caps have been scientifically shaped for comfort and protection, with a broader fit than many of the conventional brands. The steel toe caps are manufactured from heat treated high carbon steel and incorporate a latex toe cap liner to eliminate toe cap pressure. 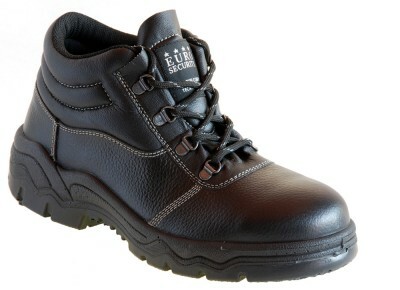 This, together with advanced sole technology, excellent padding and modern styling makes EURO SECURITY one of the leading safety footwear brands in South Africa. Heat treated high carbon steel toe caps.